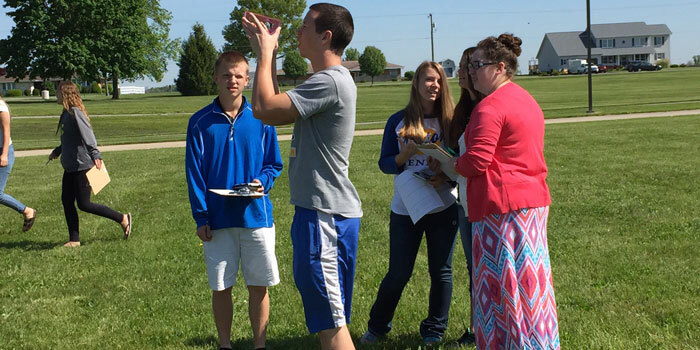 BOURBON — Students in Cindy Stichter’s algebra II honors class at Triton Jr.-Sr, High School recently completed a trigonometry activity. 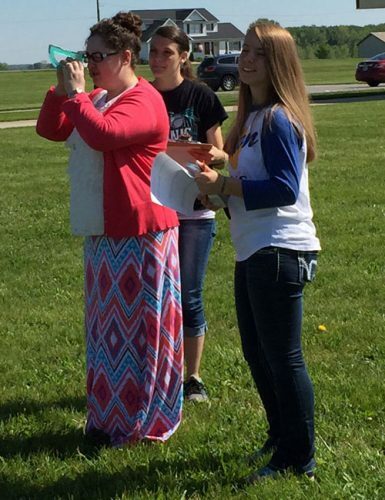 The students used homemade clinometers and trigonometry to estimate heights of trees, buildings, and signs. 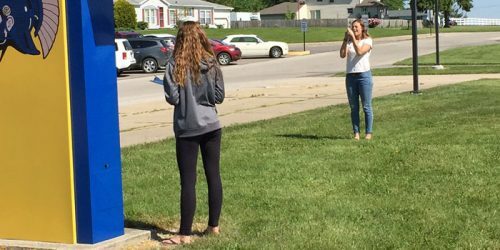 Emily Overmyer, Kaylene Slabaugh and Siera Sauer participate in a Trigonometry project. Kate Gardner and Nicole Sechrist practice their trigonometric measurements.